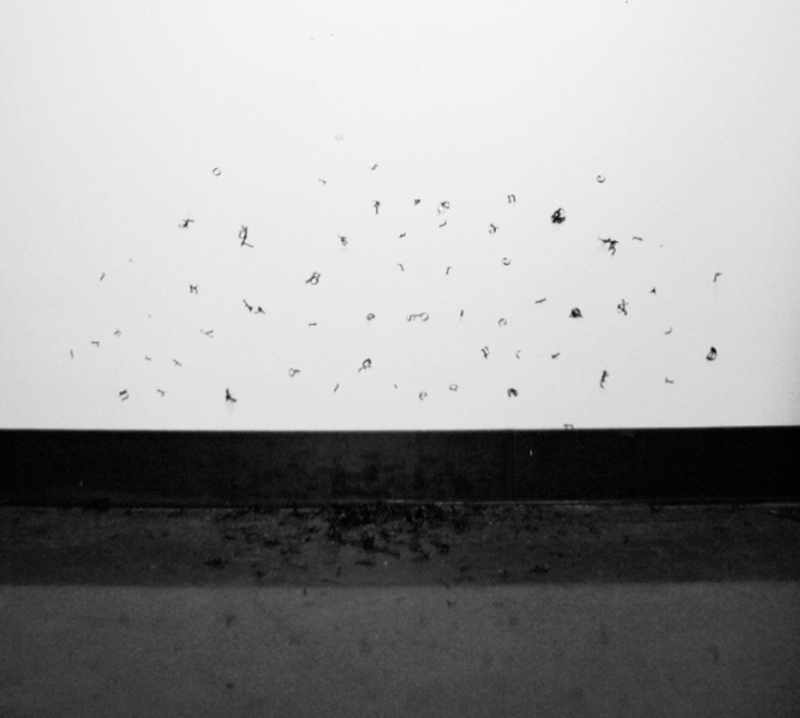 Edit/Palimpsest is a performance and video installation in which a vinyl poem is recorded being scraped off a wall, the footage then edited as three simultaneous frames of differing opacities, and finally projected onto the wall space where the original poem had been. The video displays the performance of editing in reverse while the curled vinyl letters remain on the floor below, conflating the process of editing with the creation of a palimpsest. The work must be made on site, and typically takes two weeks to complete.